Record the details for your lease, and connect to your tenant. Your Tenant will receive Automated Rental Reminders and will be able to track where they are with the rent. Rental Receipts are issued automatically, online, once payment is confirmed as received. You can now see easily and quickly is there are any rental arrears to be followed up, and the tenant is able to view their rental records online. 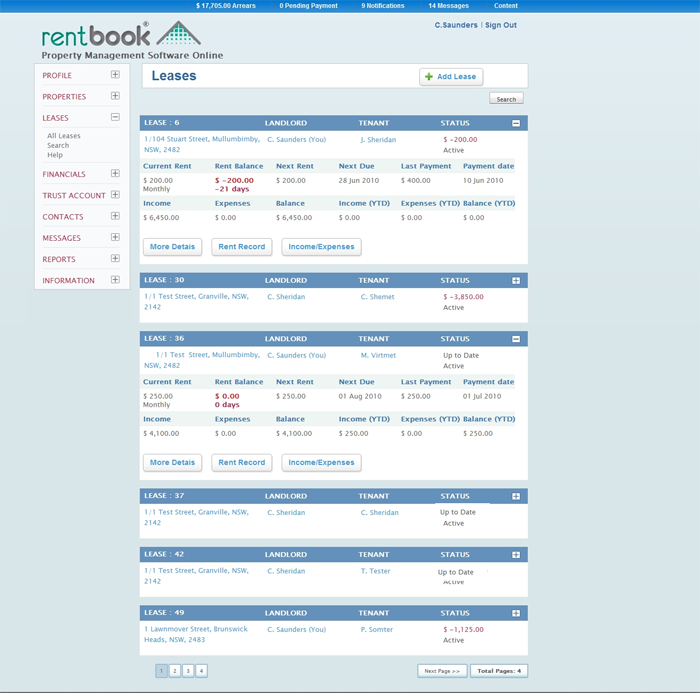 RentBook reduces Landlord/Tenant disputes as all the rent records and lease details are online and available at all times. Tenant details of all your tenants are able to kept online for reference at anytime.